Generic “advice” like this is fine for those who are only interested in reading about how to start a business, or explaining the process to a toddler. However, if you’re interested in actually starting and running a successful business, read on. There are exceptions to every rule but here are a few solid things you should know and keep in mind that will apply to most small businesses, particularly sole proprietorships and limited liability companies (LLCs). Most people know that part of starting a business is choosing a name. The hard part can be choosing the right name for your business. Picking a name should be the very first thing you do after deciding what services your business will offer or products you will sell. Be mindful though, that there’s a bit more to picking a name than simply picking something you like. Marketing, online presence (ie, “is the domain name available?”), whether or not you can legally use it (ie “has someone else already trademarked this name?”) are all things that need to be taken into consideration. Make a list of names you like (including a number of variations of each name, if possible). If going over possibilities out loud with someone else, don’t be afraid to list off “silly” possibilities either. This gets your mind brain storming and can help generate stronger name candidates. It’s okay to use clever spellings or a play on words, but make sure you don’t confuse people. Also, don’t feel obligated to choose a name that makes it clear what your company does (or sells). Think of the biggest brands on the planet. Apple, Google, Starbucks, Microsoft. Can you tell what they sell just by looking at a name? Often times the answer is “no.” You can always choose a tagline or slogan that makes your products or services a little more explicitly clear. Once you have a good solid list together, check which names have available domains (you can check the availability of domain names using ICANN’s WHOIS lookup). If the .com level domain is still available, there’s a very good chance the name isn’t trademarked and no one else is currently using it. However, it’s not a bad idea to also run a quick check of the United States Patent and Trademark Office Trademark Electronic Search System (TESS) as well. One quick note about domain names: regardless of whether or not you plan to build a business website right away, we strongly recommend grabbing the .com extension containing your business name, and one or both of the other top level domain extensions (.org and .net). Focus on your core services and/or products, especially in the first year you’re in business. Offering too much, too fast, will make it difficult to market your strengths and build a good customer base. It can also give the appearance of disorganization, which drives customers away. Keep a running list of services or products you’d like to start offering in the future, and roll them out once you’re comfortable with your core services or products. Many of your first clients, or customers, are going to be people you know. This is especially true for service based businesses. And guess what? That’s okay! I’ve seen other business owners get discouraged when, after only a few weeks in business, their clientele is made up of friends, family, or former colleagues. This is no reason to be discouraged. In fact, quite the opposite. Your friends and family are always likely to “talk you up.” This is even more true if they have patronized your business and had a good experience. Working for people you already know will help create “word of mouth” waves and eventually lead to referrals. It will also help build your portfolio, which makes your business more marketable to other clients. Reach out to friends, family, former coworkers or colleagues and let them know what you’re up to. When someone sends you a referral, send them a card acknowledging and thanking them. A small gift card (can’t go wrong with Amazon) is a nice touch too, if finances permit. If you want to do something a little more robust, let your clients know they’ll receive a credit to their account for referrals they send your way. This gives them an incentive to encourage others to contact you. This one cannot be said enough. It’s possible (probable, even) that you will need to make several adjustments to your prices during your first 6-12 months in business. If you’re a service based business, prices will need to be set lower than the market rate, perhaps much lower. Be aware, however, that you may have to do some negotiating to get your first few gigs. This is important to keep in mind when you give a client your opening asking price. Once you begin to build your brand (and your portfolio), you should slowly increase your rates. For product based businesses, hold an open house, give away door prizes or hold a raffle, offer buyers a small coupon for a discount on a future purchase. Try to avoid opening weekend “sales” though (see Section 6 below for more information on discounting services and products). 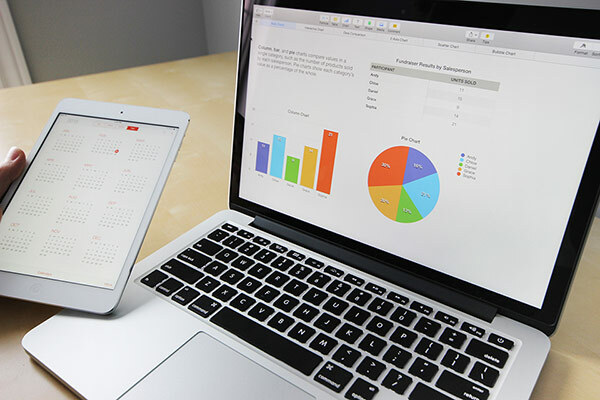 Figure out what your overhead expenses are for a product or service, factor in other expenses such as vacation/sick time, software (eg accounting software such as Quickbooks or Freshbooks, Microsoft Office, Adobe Creative Cloud, etc. ), office supplies, rent (if applicable). Don’t forget your personal expenses such as healthcare, taxes, and time off for sick days or vacation. 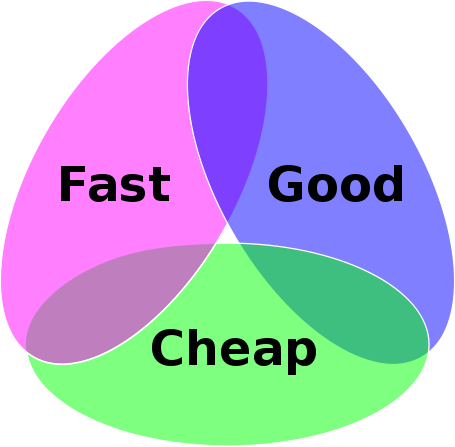 One mistake I see people make all the time is only considering what a product cost them to make. Customers aren’t only paying you for the service (or product) they’re getting, they’re also paying for the years of experience you have in the industry and your ability to provide the good(s) or service(s). Think long and hard before charging by the hour, too. Publicizing your hourly rate as a freelancer or small business owner can be dangerous. The average income in the United States is around $50,500. Assuming a 40-hour work week (which, let’s be honest, is less than most full timers actually work), that’s about $27.27 an hour. So telling them you charge (which they assume means “make”) $75 an hour makes it seem like you’re taking home much more than you actually are. From that $75 an hour your business takes in, you have to pay taxes, pay for insurance, account for time off, equipment and overhead expenses, etc. If you can, do away with hourly pricing altogether. If this isn’t possible, at least don’t publicize it. CAUTION: Be careful how you apply new price structures to returning clients. Especially when you’ve increased prices substantially. You don’t want them to get price shock. This is one of the few instances where a business should apply discounts liberally. We have had clients come to us seeking digital marketing services (especially website development) after first using discount web design services like “GoDaddy” to host and build their websites. For one reason or another (usually they aren’t happy with the product or aren’t getting the level of customer service they would like), they realize that partnering with a web design firm would be to their benefit. The greatest perceived benefit of drag and drop website builders or discount web hosting services is, of course, that they are cheap, or even free. The other perceived benefit is the ability to have a professional website that’s going to compete with companies that hired a web design and development firm to build the website for them. The problem is that drag and drop website software is costing you more in lost revenues than it saved you in fees you would have paid to hire someone. Why? Well for starters, websites built using these services almost always lack even the most basic of search engine optimization. And more advanced techniques you need to be employing to keep up with or get ahead of the competition? Forget about it. Furthermore, these services often render sloppy code which will also have a negative impact on your SEO and cause your website to load slowly. In addition, drag and drop software doesn’t help you to design your site. You still have to know how to build it in a manner that’s user friendly, aesthetically pleasing, and encourages “action” by website visitors. Sure the content is there but it’s probably going to have noticeable design flaws that make it less appealing (and professional looking) to visitors, which may drive them away. It is the job of developers and designers to stay up to date with the latest web design/development standards and accepted practices. You wouldn’t hire a construction company that hadn’t kept current on accepted practices and advised you to use asbestos, would you? No way. Would you trust a “doctor in a box” kit that claimed it could do everything a doctor can do to diagnose and treat you when you’re sick? No. You’re going to go to a real physician. With 75% of people judge the credibility of a company based on the design of its website according to Stanford University, your website is one thing you can’t afford to skimp on. Discounting leads to the devaluation of your services and products. If you’re a service based business (or any business that relies on referrals and word-of-mouth… which is most businesses) many of your prospects will be referrals from clients you’ve offered discounts to, expecting similar (discounted) rates you gave the original client. Instead of discounting, offer added value. This one is easy (or easier) to do for service based businesses, but product based businesses can do it too. For product based businesses, think about perhaps offering to ship the product for free, or offering a coupon for 10% off on a future purchase. For service based businesses, offer bundled service packages. Offer these “bundled” packages at a price that is cheaper than the services would be if purchased à la carte. Always be sure to over deliver on projects, too! If you’re going to invest your time (and money) in starting a business, go all in. This doesn’t mean blow the bank or be reckless with your spending. Commit to the idea, commit to marketing it, commit to long hours and over delivering on your first few projects. It takes a lot of fuel to get a business off the ground. If you’re not fully committed, prospective customers can tell, and it’s going to drive them off. Why should they be enthusiastic about your business if you aren’t? 8. It’s the twenty-first century! Act like it. Sometimes it’s perfectly acceptable, even advantageous, to throw tradition out the window! Often times one of the first purchases made by a new business owner is business cards. With the ability to exchange information at the tap of a smart phone, you should really ask yourself how often you’ll find a use for all those business cards. Sure, they can occasionally come in handy, but depending on your industry, they may not be something you need to purchase right out of the gate. Before you spend the money, ask yourself do you really need business cards right away? If you’re launching your business on a tight budget, there’s often other expenses or opportunities to invest in the business that should take priority over business cards. However, if you do elect to invest in business cards with your initial round of business expenses, be sure you’ve settled on a logo and tagline that you’re satisfied with and comfortable using for the foreseeable future. When purchasing business cards, you typically have to place a minimum order of 250-500 cards. Likewise, investing time, effort, or money into a business plan is unnecessary in many situations. Indeed, in today’s fast paced, ultra-connected, ever-changing world, following a business plan can actually do more harm than good. Business plans replace creativity with rigidity and limit flexibility new businesses need to adapt. Furthermore, business plans require much “guess work,” particularly regarding projected finances. Unless you’re a well-funded startup capable of funding market research and analysis, the degree of uncertainty is going to be statistically too high to really mean anything. Provided you don’t plan to seek investors or some other form of major financing right out of the gate, you don’t need a business plan on day 1 (or day 365, in many cases). Your return on investment simply won’t be worth it, especially if you’re a small company. Keeping the plan up to date will eat into your time that could be better spent doing other things. You don’t have to blow the bank on marketing and advertising. A little creativity can save a lot of money. Think about philanthropic causes that are relevant to your industry, or simply near and dear to you. Get in touch with organizations you may donate to or volunteer with in your personal life and ask about sponsorship opportunities. If a “corporate sponsorship” is a bit pricey (which it often times is for new businesses) ask about other opportunities. Ask about donating a portion of sales from a given day (or time period) in exchange for the organization promoting you on their website, social media, etc. What are some tips you would give to those looking to start their own business? Let us know in the comments.